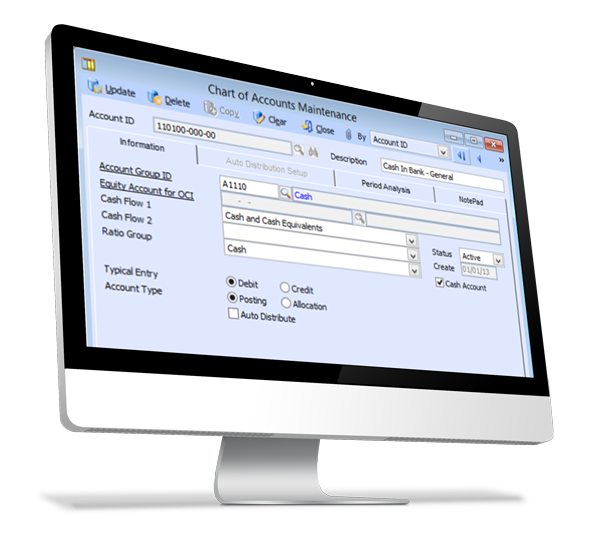 The AccountMate General Ledger module gives you maximum control over the management of all your accounting transactions. It is equipped with the necessary tools and reports to help you comply with both US Generally Accepted Accounting Principles (US GAAP) and International Financial Reporting Standards (IFRS). Whether setting up and maintaining a chart of accounts, generating financial statements and reports or creating journal entries and budgets, AccountMate General Ledger keeps you in control of your financial data. General Ledger also comes standard with fund accounting capabilities. Enabling its fund accounting features addresses not only the specific reporting needs of the not-for-profit organization but also provides the tools necessary for a detailed accounting to those who require special handling of the funds they contribute.